Femi Fashola (Femi Fash) is a rising multi-talented music minister whose life has been a blessing to many. His impressive performances gave birth to overwhelming novelty to many who he mentors, especially in places he has worked as a Music Director. 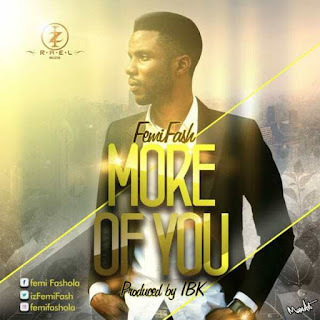 All the way through his own broad style at the crossroads of music, Churches he has worked with will never forget Femi Fash for his immense contribution to their fashionable music.